1. Type 2 diabetes – Researchers found that just two grams daily of black seed could result in reduced fasting blood sugar levels, along with decreased insulin resistance, and increased beta-cell function in the pancreas. 2. Epilepsy – Published in Medical Science Monitor, one study found black seed to be effective at reducing the frequency of seizures in children who resisted conventional treatment. Black seed indeed has anti-convulsive properties. 3. 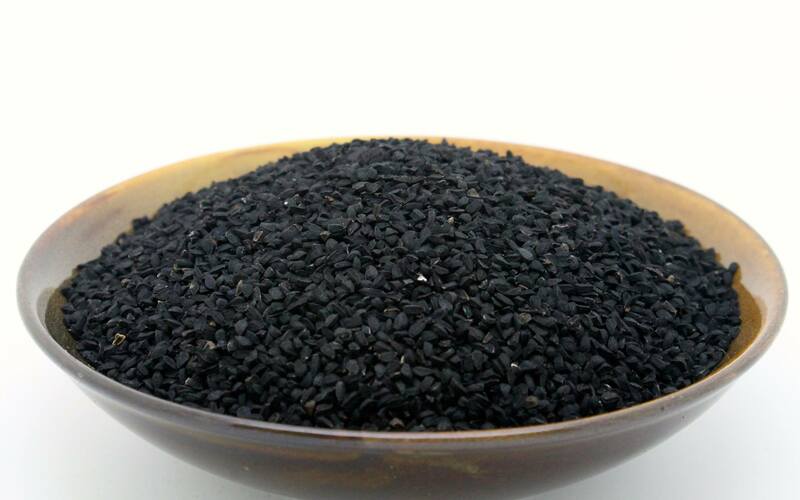 Colon Cancer – In cell studies, black seed has been found to have anti-cancer properties, inhibiting the growth of colon cancer cells specifically. In one animal study, the seed was able to fight colon cancer in rats successfully with no observable side effects. The same obviously can’t be said for conventional cancer treatments. 4. MRSA – The deadly and antibiotic-resistant bacterial infection known commonly as MRSA responded favorably to treatment with black seed in this study from the University of Health Sciences in Lahore, Pakistan. 5. Protection Against Heart Attack Damage – An extract from black seed has been shown to possess heart-protective qualities, dampening damages associated with heart attacks and boosting overall heart health. 6. Breast Cancer – A few studies have linked a thymoquinone extract from nigella sativa to reduced breast cancer tumor growth and increased apoptosis (cell death) in breast cancer cells. 7. Brain Cancer – A study published in the online journal PLoS One indicates thymoquinone from black seed can induce cell death in glioblastoma cells. Glioblastoma is one of the most aggressive brain tumors of all. 8. Leukemia – As it’s been shown to do with other types of cancer, black seed compound thymoquinone has also been shown to induce apoptosis in leukemia cells. 9. Brain Damage from Lead – A study published in Experimental and Toxicologic Pathology indicates black seed is able to dampen and reverse damage to the brain sparked by lead toxicity. 10. Oral Cancer – Research indicates thymoquinone from nigella sativa is able to induce cell apoptosis in oral cancer cells. These ten benefits of nigella sativa are truly only the tip of the iceberg. Mounting evidence indicates this seed is a powerful healer.